It’s one of our favorite weeks of the year: National Library Week! Founded in 1958, this is a time to celebrate the contributions of our nation’s libraries and librarians, and the role they play in transforming lives and strengthening communities. It’s also a time to collectively promote library use and support. It's music to our ears! We hope you’ll join us now through Saturday as we – along with the American Library Association (ALA) – celebrate National Library Workers Day (April 9), National Bookmobile Day (April 10), and Take Action for Libraries Day (April 11). Later today, the ALA will also be releasing the State of America’s Libraries Report, which will include the Top Ten Frequently Challenged Books of 2018 – stay tuned for that! 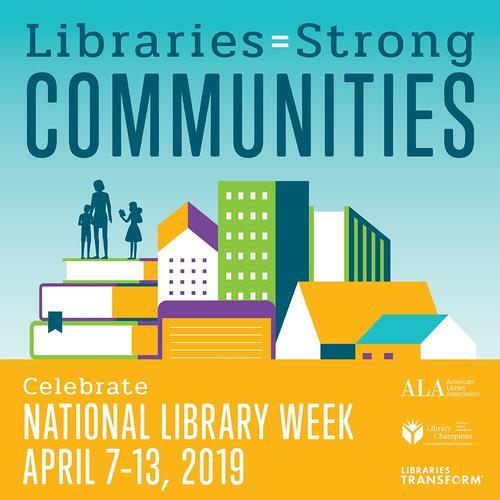 This year’s National Library Week theme is Libraries = Strong Communities, illustrating how today’s libraries are at the heart of our cities, towns, schools, and campuses, providing critical resources, programs, and expertise to everyone who needs it. Libraries also provide a public space where all community members, regardless of age, culture, or income level, can come together to connect and learn. 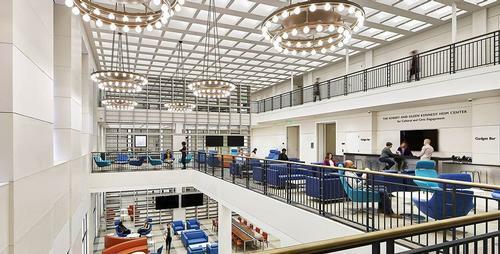 It’s fitting, then, that this year we’ll be opening some brand new spaces in the Parkway Central Library during this already exciting week, the culmination of a massive renovation project designed to meet the needs of 21st century library users. Join us April 12-14 for the public grand opening events of these reimagined spaces! Throughout this week and continuing throughout the spring and summer, we’ll also be highlighting some of the exciting and different ways our patrons use the Free Library. Under the #MyFreeLibrary hashtag on social media, we’ll be sharing some great stories and hope to hear yours, too! This is the perfect week, after all, to reflect on what the library means to you. Join us April 12-14 to celebrate the new spaces in the Parkway Central Library! 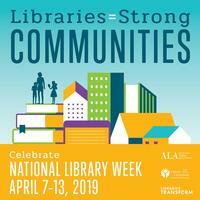 Add a Comment to #NationalLibraryWeek: It’s Time to Celebrate Libraries!